Light and dark terrain covers the surface of Saturn's moon Iapetus in this Cassini spacecraft image. 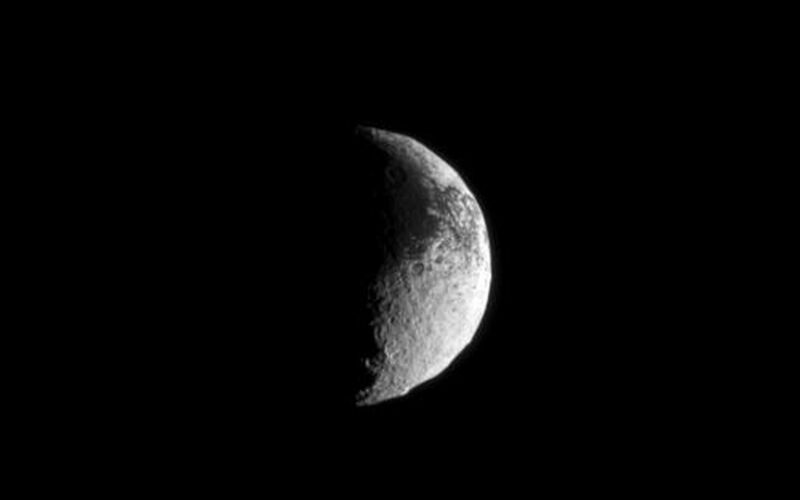 Lit terrain seen here is on the area between the Saturn-facing side and trailing hemisphere of Iapetus (1,471 kilometers, or 914 miles across). North on Iapetus is up and rotated 4 degrees to the right. 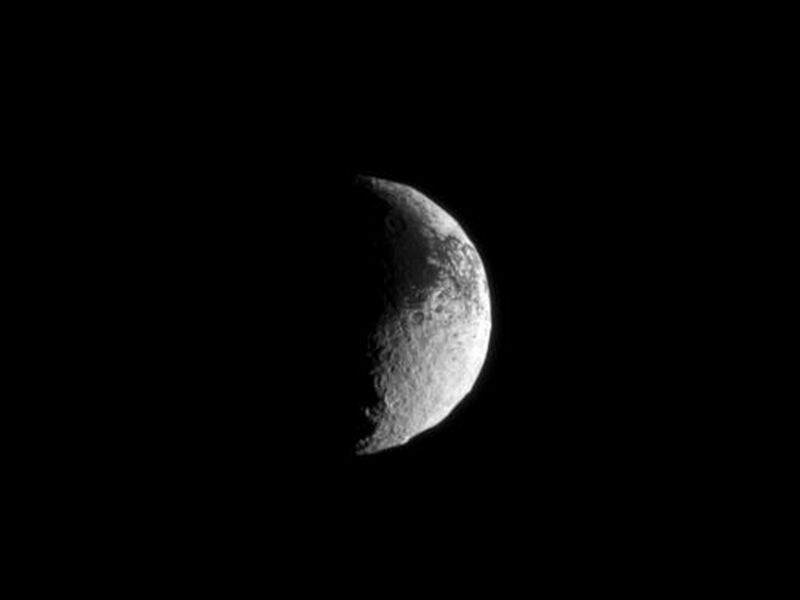 See PIA11690 to learn more about Iapetus's unusual bright/dark coloring. The image was taken in visible light with the Cassini spacecraft narrow-angle camera on Dec. 1, 2009. 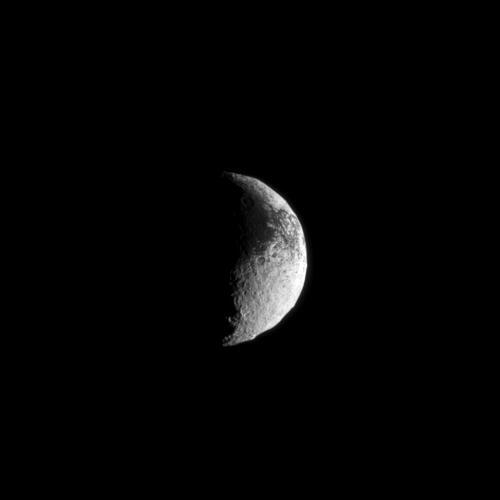 The view was obtained at a distance of approximately 1.4 million kilometers (870,000 miles) from Iapetus and at a Sun-Iapetus-spacecraft, or phase, angle of 100 degrees. Image scale is 8 kilometers (5 miles) per pixel.